Bevco’s shop stools are available in a variety of seat styles, base options and seat height ranges to deliver a customized fit for your application. 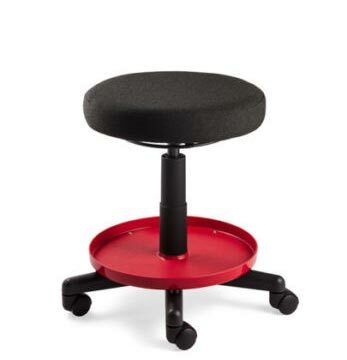 These sturdy, five-legged stools pneumatically adjust so you can achieve the perfect positioning for the task at hand. 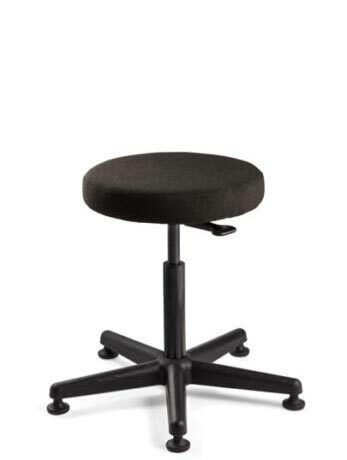 The convenient 360° swivel seat is a key feature that makes our Shop Stool Series an ideal choice for use in machine shops, warehouses, and industrial applications — anywhere users bend or crouch down to complete their work. The Maintenance Repair Stool includes workflow conveniences like a tool tray underneath the durable polyurethane seat. 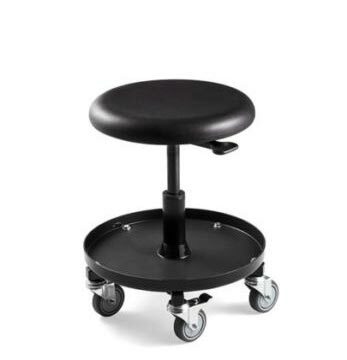 The sturdy, five-legged steel base rolls on five 3” polyurethane casters (2 casters include locking brakes) allowing you to easily adjust from mobile to a static position. The Value-Line Maintenance Repair Stool provides similar conveniences to our core product at a lower print point. The Value-Line Maintenance Repair Stool has a handy tool tray that is manufactured on a black nylon base with carpet casters and offered with a 5-yr warranty. The sturdy construction and modern design of the Versa Series make these stools ideal for a wide range of applications. This series provides the greatest amount of customization with seats available in polyurethane, fabric and vinyl options. Our products meet ANSI/BIFMA X5.1 safety, durability and structural adequacy standards and have also been GreenGuard Gold certified delivering healthy, sustainable seating solutions. Bevco extends a full 12-yr warranty on its core line of products along with a lifetime warranty on the cylinder giving you peace of mind with each purchase. If you’re unsure which Bevco product will best meet your needs, call us today (800-864-2991) for a free consultation to help you determine the exact model # that will meet your needs. Bevco also offers a hassle-free sample program that allows you to try any product risk-free for 30-days. © 2018 BEVCO Precision Manufacturing, Inc.